Such downfall as Bibi (nè André-Joseph Salis de Saglia) enjoyed had happened years before he met Verlaine the decadent poet, and it is doubtful he had done a stroke of real work much before that. As to his family, though he might introduce himself to strangers (and the Magistrate when he was hauled before them) as Lord of Salis, his father was in fact a wine merchant from Angouleme, his uncle was the Abbé Salis whose chief claim to fame was as tutor to Sir Roger Tichborne and deponent on the ensuing scandal when an imposter tried to claim the title and fortune (a story for another day). On the other days, he did what he had to to get by. Flattering, scrounging, mooching, and petty theft both from strangers and friends. He had a penchant for umbrellas, useful in a city as rainy as Paris. His clothes were cast-offs, but always stylish in a trampish sort of way. Top hats, flower in his boutonniere (freely given to women of quality), spats, and scarves around the neck, cigar or cigarette hanging off his lips. He shaved regularly and when the pong of doubtful hygiene got too much, washed it off in the Seine. He was sometime poet (for of all the arts, it is the least demanding of capital expense and easiest to bluster), and great admirer of the creative types who over the years came and went through the quarter. And so began his career as oddjobsman for that absinthe soaked genius, not least of all making sure that the fellow got home and to bed in one piece after a night on the town. (Some say he was a fellow drinker, others that he was a teetotal, others that he was simply able to hold his drink better than others.) It was from Verlaine (whom he called Le Maitre) that he got the monicker Bibi la Puree (a bit passive/aggressive – être dans la purée translates loosely as “to be in the soup”). Et drôle tant ! And so amusing! Qui nous agrée. » So pleasing to us. This ill treatment at the funeral seems to have worked on their consciences. On the anniversary of this event, a second graveside memorial was sponsored, and well wishers collected money for a new coat for Bibi. He wept openly at the grave side, and the crowd backed off enough to give him his moment, and then conspired to treat the old man to a bang-up meal. When they returned their attention to him, however, he was gone. So were at least fifteen umbrellas, last seen leaning against a tree. A word on his thievery – it seems to have been more or less compulsive, spontaneous, and without malice. It was also open handed – what he filched from Peter he was apt to give to Paul. 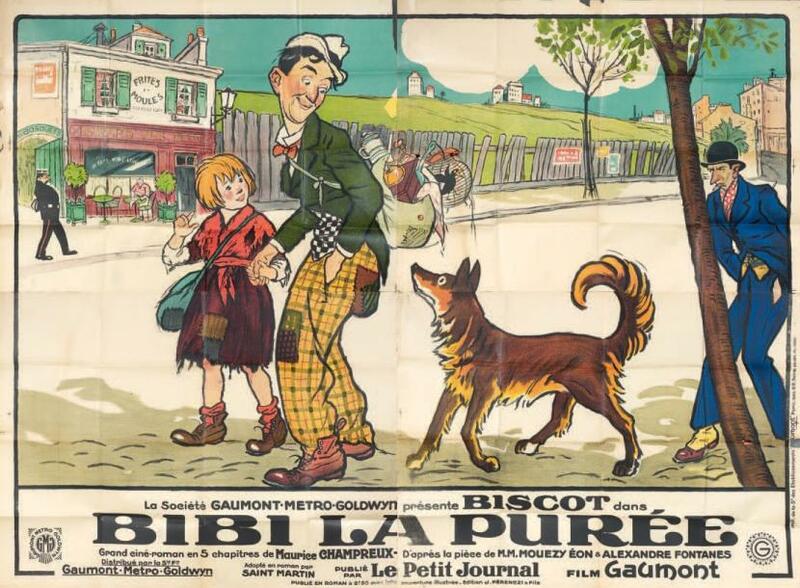 Jules Depaquit tells the story of Bibi’s observing that he, Jules, needed a new hat. Ever helpful, Bibi came back the next day with twenty hats on offer, and no mention of where they might have come from. Nor would he accept money for this sort of favor, not from friends. He was, in his mind, a gentleman. He also traded on his association with Verlaine, selling autographs and inscribed books while the man lived, and facsimiles of them after his death; he also peddled the old man’s walking cane to tourists desiring souvenirs. Many times. “… Christbaum engendra ben Maimun et ben Maimun engendra Bibi-la-Purée et Bibi-la-Purée engendra Benamor et Benamor engendra…”. He seemed indestructible, and indeed, Jehan Rictus included in his 1900 poem Complainte pour complaire à Bibi-la-Purée the line Bibi-la-Purée jamais ne mourra.”. Of course he must. Die, that is. Tuberculosis, and final days in the Hotel-Dieu Hospital where he is said to have entertained the other indigent inmates with comedic takes on their several maladies before he himself lost his reason entirely. His last moments involved his standing up on his hospital bed, wrapped with sheets, his chamberpot on his head, convinced that he was Pope Leo XIII. He blessed all those present, then fell back on his bed, stone dead. Pretty cold, even by New York standards. This entry was posted in Artist, Criminal, Eccentric, Sharpie, Trouble maker, Writer and tagged Abbé Salis, André-Joseph Salis de Saglia, August Morel, Bibi-la-Purée, Christian Gury, Francois Coppée., Harold Nicolson, Jacques Villon, Jean Bailleul, Jules Depaquit, Leo Joannon, Maurice Champreux, Mere Casimir, Paul Fort, Sir Roger Tichborne by BWA. Bookmark the permalink. Ah, but did Picasso portray *anyone* flatteringly? There is that. Nasty sort of fellow, from all one can gather.